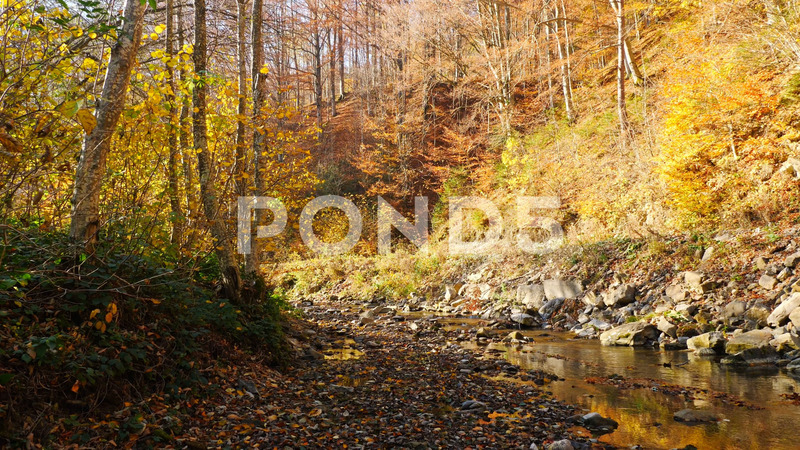 Description: The mountain river in autumn forest. The leaves changing color and peaceful forest. Autumn nature landscape. Fallen leaves lying on the ground. Camera movement.